Abby and I go way back. We have known each other since before first grade and have so many memories together. We have been friends through most of our major life events from early years of school, basketball state championships, graduating high school, our wedding back in 2015, and now her wedding day!! 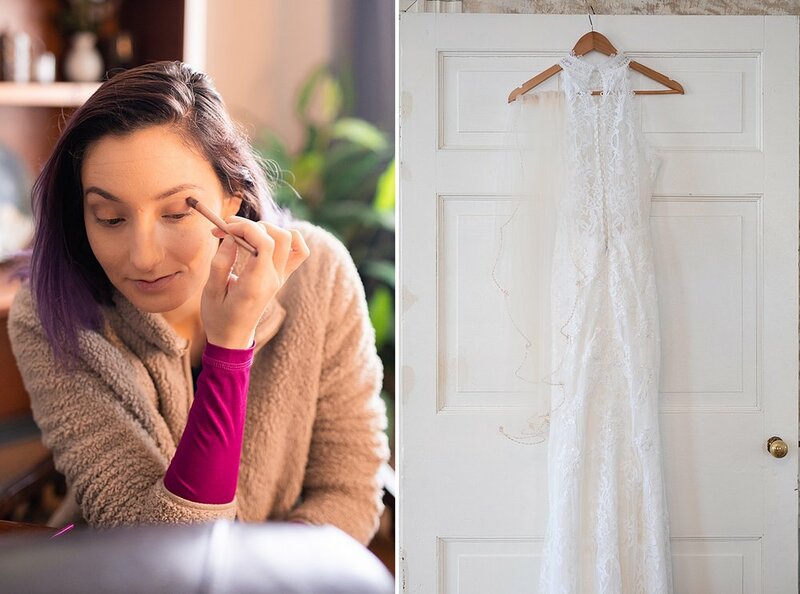 I was beyond excited to be a part of her wedding day as her photographer. I have only known Jack for a little bit now but I have never met a more genuine and funny guy that is the perfect match for Abby. 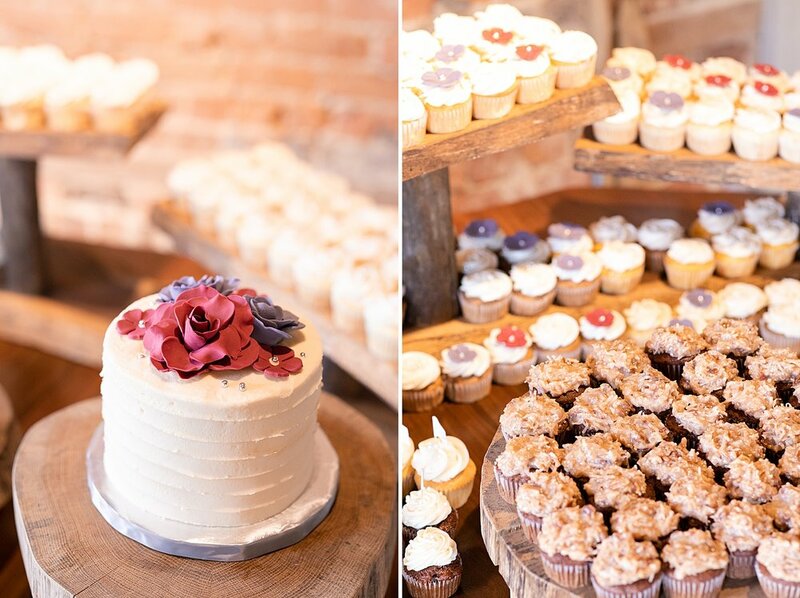 James and I have been to the Kyle House once before as wedding guests but this was our first time photographing a wedding at this beautiful venue! 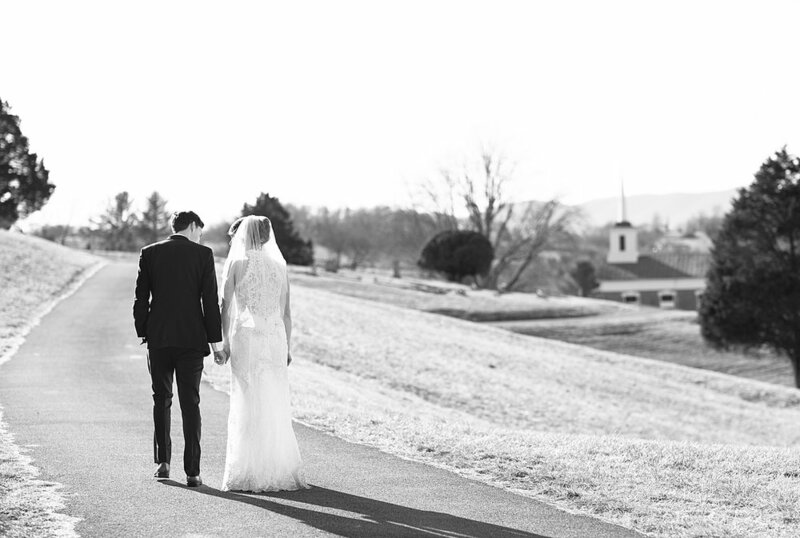 We live in Lynchburg now, but are originally from Roanoke and have always loved the quaint little town of Fincastle, Virginia. 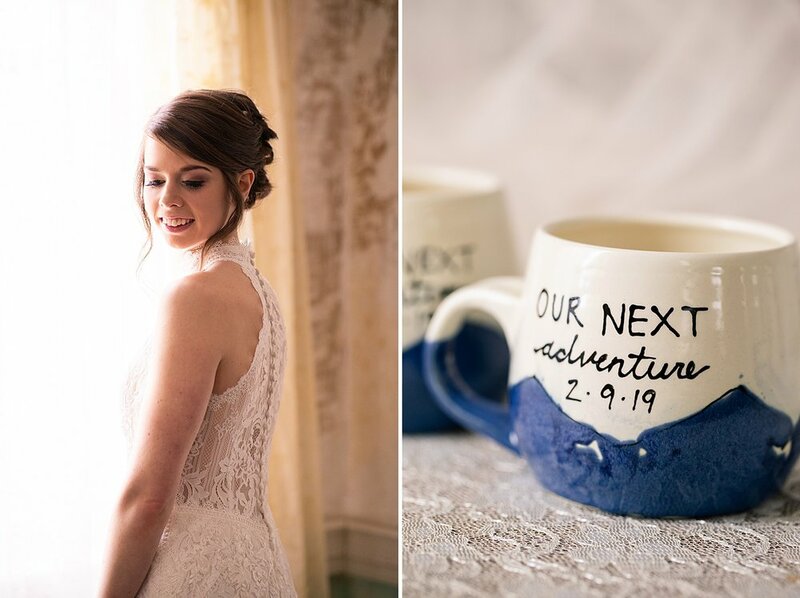 I always try to do some research on the venues before the wedding day so that I can have a game plan for portraits! James thinks I go a bit overboard but we sometimes stop by the venue the day before and just explore the areas around the venue to find unusual spots for photos. This time I had a secret location up my sleeve!! My Aunt Amy actually lived in one of the apartments next to the Kyle House for a few years and I found this secret location because of her walking her pup Molly around town! So the night before the wedding day we drove around and looked for that secret location. James thought I was crazy when we drove through the entrance of a CEMETERY. Yep, you read that right. I wanted to see the view from the top of the property. I actually took a video of the view to show Abby to convince her to believe in my crazy idea!! Haha!! I knew she thought I was crazy but this girl TRUSTED ME!! (or wherever we are haha) is just amazing to me. I am truly blessed with the best couples!! By looking at these beautiful images, you would never be able to tell where we were taking these photos. I think the view was worth it though. Their portraits turned out amazing and I can’t wait to share them with you. 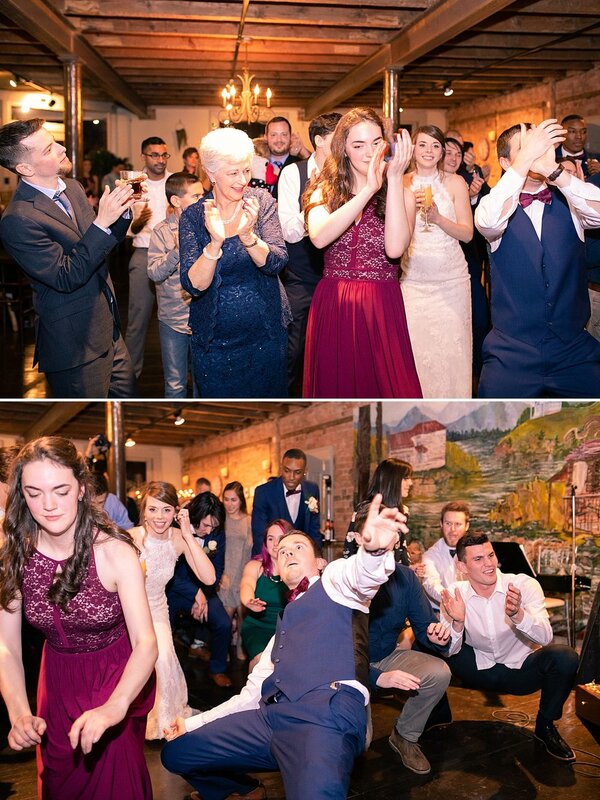 Jack and his groomsmen entertained us all day! Usually the gentlemen want to get the photos done early so they can hang out before the ceremony. This group just ate up every minute of their portrait time!! I’m considering doing a behind the scenes post including some of their hilarious photos because there are more than enough to fill an entire post! 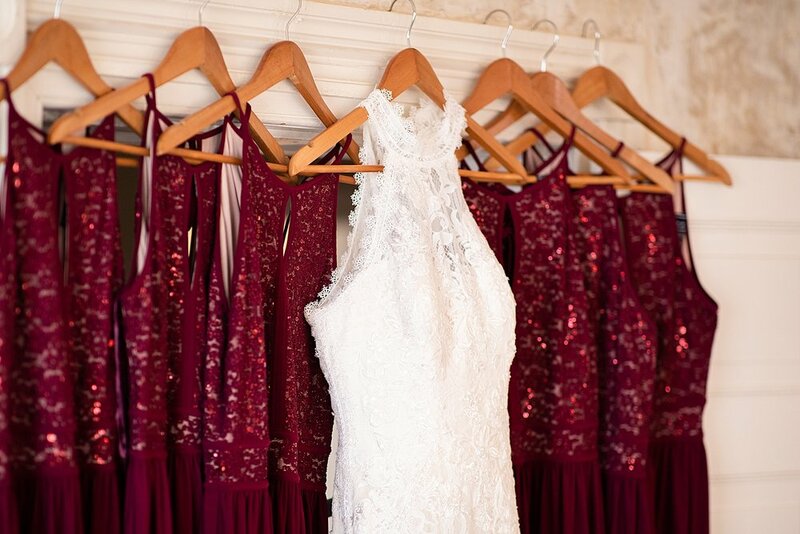 The wine colored dresses are so popular right now and for good reason! I love the rich red color on these beautiful ladies and they came prepared with grey shawls. It was so cold that day and they were troopers staying out as long as they did! 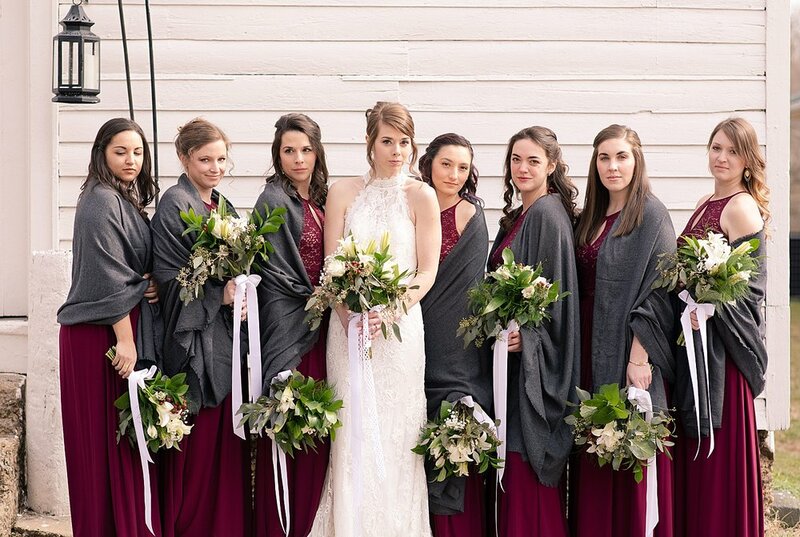 We had time to fit in a sneak peek with the bridesmaids (one of my favorite things!) and their reactions were the cutest!! 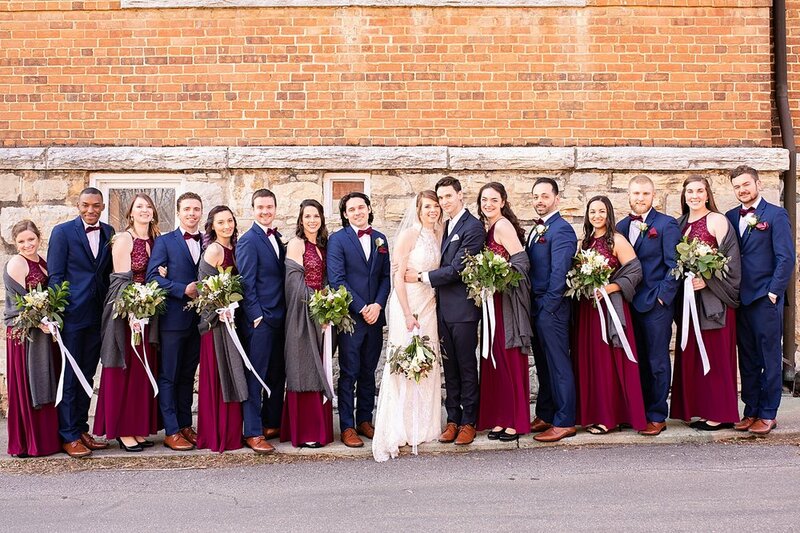 I love it when a bridal party just adores the bride and groom and you can really tell that they love Abby and Jack!! I have a few other stories to share with you, including my favorite story about Abby singing to Jack. That one still makes me tear up and get goosebumps!! 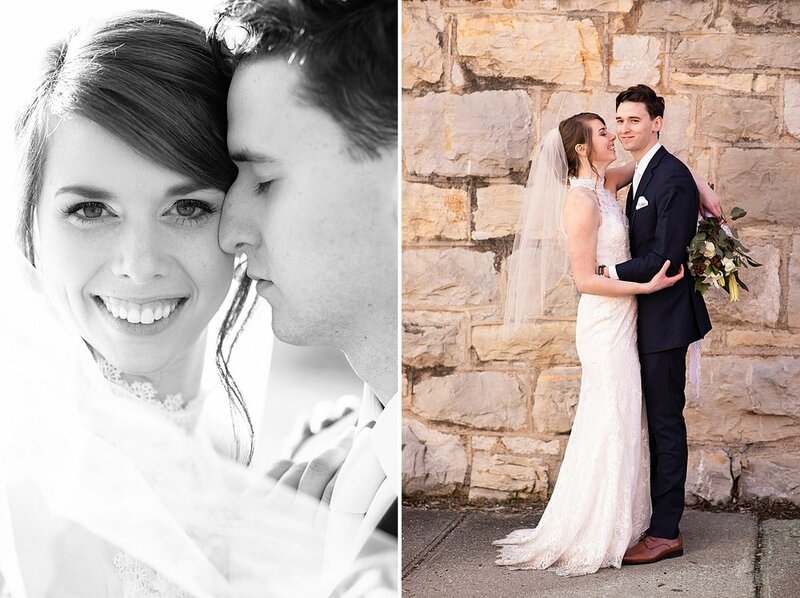 So enjoy my favorite moments from Jack and Abby’s February winter wedding! Her momma was a trooper getting all those buttons buttoned!! They brought a crochet hook to make the process go faster and I thought that was genius! Bonnie could be a Covergirl. Look at her professional modeling skills! What cuties! They were full of energy! I love sneak peek moments! I had to post my favorite personality shot of Jack. He is such a goofball! Caption this image in the comments below! I may share my favorite caption on instagram! They all perfected their GQ model look! I love it!! 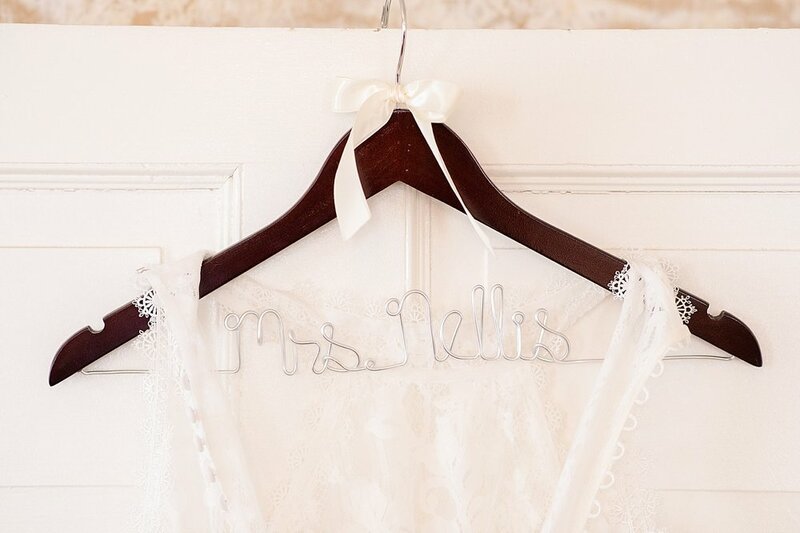 They wrote sweet notes to each other to read during their First Look No Peek. Jack asked if he was allowed to kiss her during their First Look No Peak and Abby agreed ONLY if he kept his eyes shut. They are too cute! 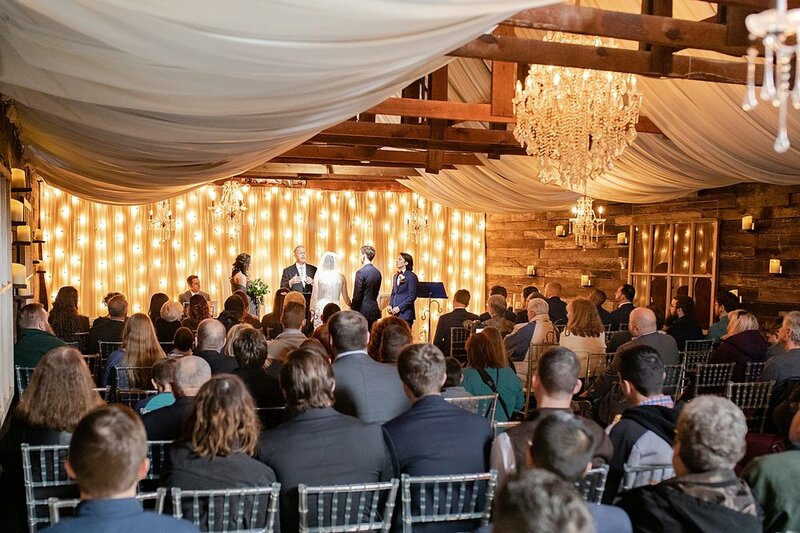 This ceremony site was just exquisite. That face you make right before you get married!! Find you a person that looks at you the way Tim looks at Jack. The way Jack looks at Abby! I can’t wait to see this video coming soon!! Those lights are just stunning! One of my favorite images of the day!!! You wouldn’t have known it was a graveyard…am I right?? Coiffeur Collective did such a great job on this makeup!! Love her eyes here! Can this be my office set up? It just looks so peaceful! Ok ya’ll get the tissues ready. This was a surprise Abby and her brother planned for Jack. 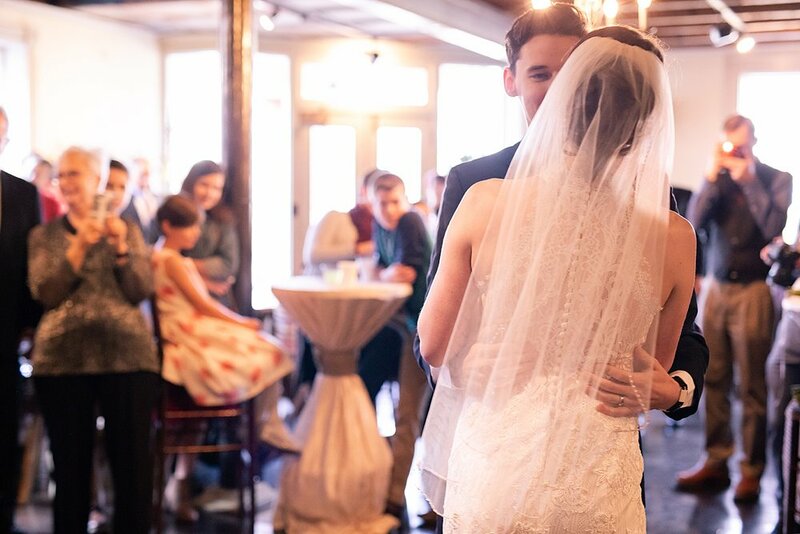 Abby said that Jack always asks her to sing for him so she wanted to set aside some time to sing for him on the wedding day. She blew everyone away with her version of Elvis Presley’s “Can’t Help Falling In Love”. I was taking photos of her singing and trying to hold back my tears when Jack just broke down crying next to me. Oh my gosh. I can’t tell you how sweet this moment was to see this man just fall apart as he listened to his bride! It still gives me chills. Between this and the vows he wrote to “his future wife” back in 2012 my tears and emotions had no chance. He read the vows he wrote 7 years ago to Abby at the reception and there was not a dry face in the room. James and I wrote our wedding vows the day of our wedding (oops… embarrassing) so Jack puts us to shame!! It just wouldn’t be them to peacefully share the cake. 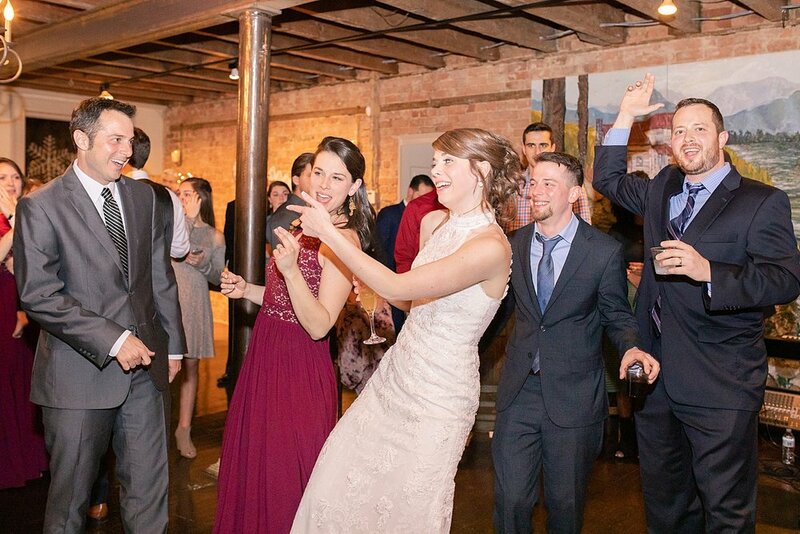 I love this photo of all 5 siblings dancing together!! James and I love you both and are so honored to be a part of your story. Thank you for trusting us to do your photography even when I asked you to take photos in freezing temperatures and a cemetery! Your energetic love, fun personalities, and sweet moments I shared above are why I love what I do. 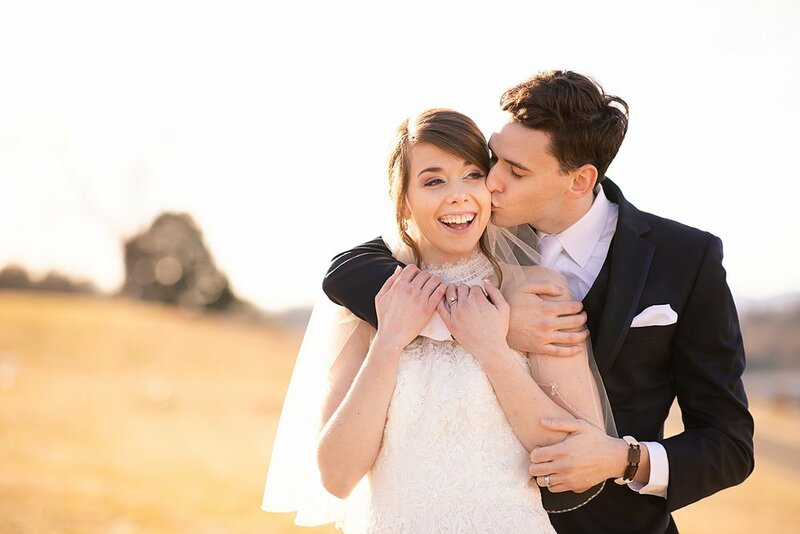 We are so thankful for you guys and couldn’t think of a better way to start our 2019 wedding season! !